Henry Alonzo House was a pioneer of steam in America, having built, with his brother Joseph, a steam carriage at Bridgeport, Connecticut in 1866. He later crossed the Atlantic and in 1898 became the manager of the Liquid Fuel Engineering Co. Ltd. (Lifu) of Cowes, Isle of Wight, as well as United States Vice-Consul at Southampton. Lifu made steam vans and buses, as well as marine engines, but no record shows of any passenger cars. 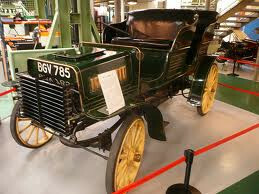 These were made under House's patents by various sub-contracting firms for sale by the Steam Car Co. Ltd. They had 2-cylinder compound engines driving the rear wheels by spur gear. The Lifu company closed their Cowes works in 1900, moving the marine engine business to Hamworthy, Dorset, where they were active in 1908, and possibly later.